Are you innovative? Are you a people-person? Are you a lover of great food? Then you should join us at Cuzino’s! We take great pride in our reputation and values. Our people are committed to both the “family” environment and the Company. In order for us to continue to provide our award winning product to the tri-state area and beyond, we need enthusiastic and hardworking team members with the desire to provide friendly customer service. 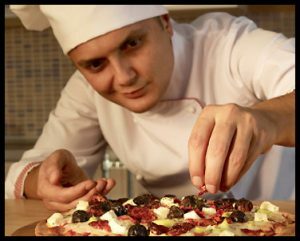 At Cuzino’s, we take pride in building integrity, valuing commitment, and providing an enjoyable working atmosphere for all of our staff members. We value applicants who accept responsibility, have a willingness to learn, and have a strong work ethic. Cuzino’s offers an upbeat, fun atmosphere with unlimited growth potential. If you’re looking for a career that offers an exciting work environment, in any of our job titles, please apply.